The relationship between coronary artery disease and intravascular thrombosis has intrigued cardiologists for almost a century. In the early 1960s, Friedman and Van den Bovenkamp described the pathology of arterial thrombus as consisting of a platelet-rich core and a fibrin-rich tail (1). However, the significance of arterial thrombus was debated over the next 15 years until De Wood et al. 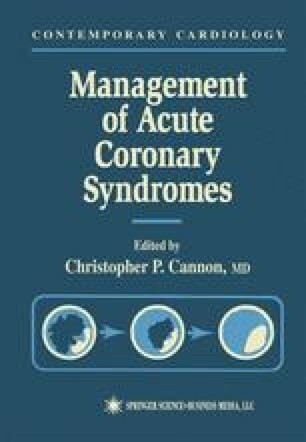 (2), in 1980, reported occlusive coronary thrombosis in 87% of patients presenting within 6 h of acute transmural myocardial infarction, initiating the era of thrombolysis and coronary revascularization in the treatment of acute transmural myocardial infarction.